This post was co-authored with Avery Louie. It's nearly impossible to be on a train, fly on a plane or walk down the street without spotting the iconic "b" logo. Beats has been extremely successful in marketing its headphones and now enjoys large market appeal. But with a sky-high retail price of $199, is there more to Beats than meets the eye? The brilliant thing here is that the two large metal parts are not mirror images of each other -- they are actually the same part! This means that only one tool would need to be made to produce both parts, which saves money in tool design and number of tools. 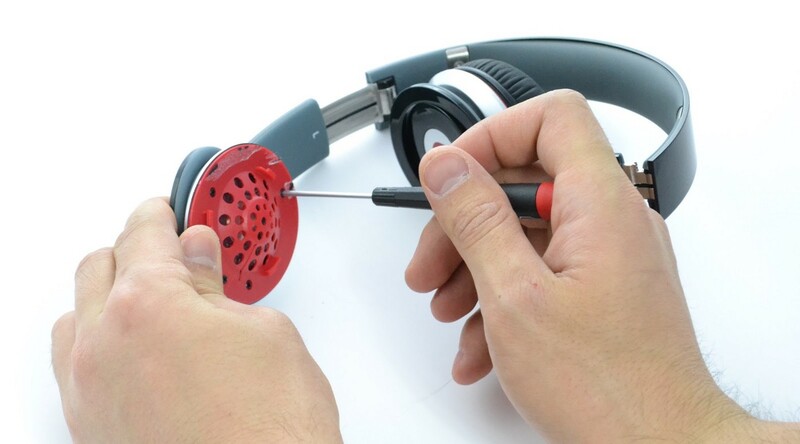 It also makes the headphones easier to assemble, since there are fewer unique parts. This part probably has the highest tooling cost of any of the parts in the headphones, because it requires many cams in order for the part to be released from the mold. Cams allow for parts of the mold to move perpendicular to the parting line. These extra parts have to meet perfectly, in order for the parts to be molded properly. It is easy to tell what direction the two halves of the mold pulled apart from the round dots you can see in the photo above -- those are ejector pin marks, from where the part was pushed out of the tool. 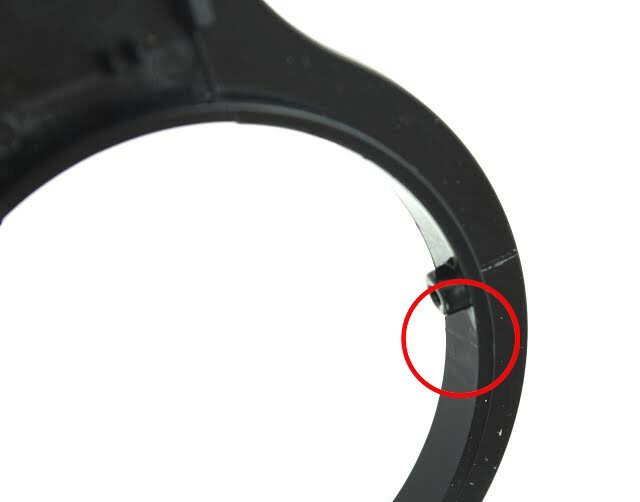 You can also tell that inside the circle where the ear cup goes, there were actions to create the pins that the ear cup swivels on -- the witness lines are visible, even though it has been post-polished. Screws are cheap but are tedious to install, hence nearly every part on this product is snapped or glued together. 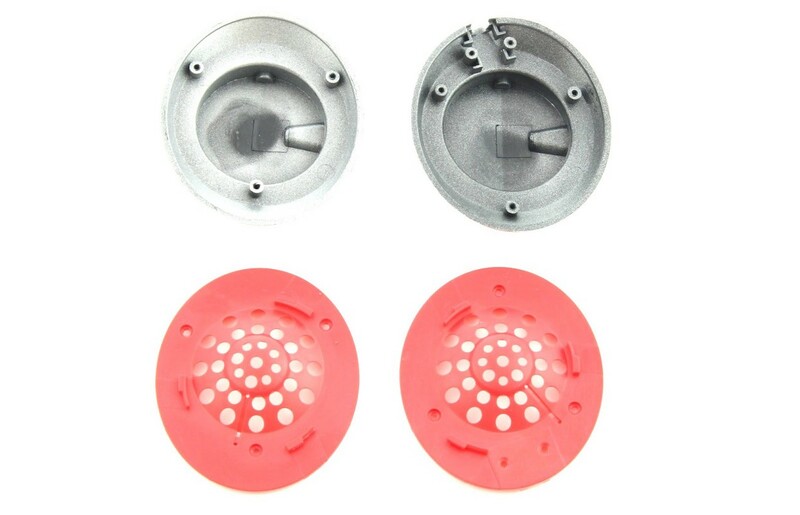 You can see how the number of screws are optimized at the cost of cutting two more molds by comparing the left and right speaker grills and speaker cups -- one of them has an extra two screw holes. 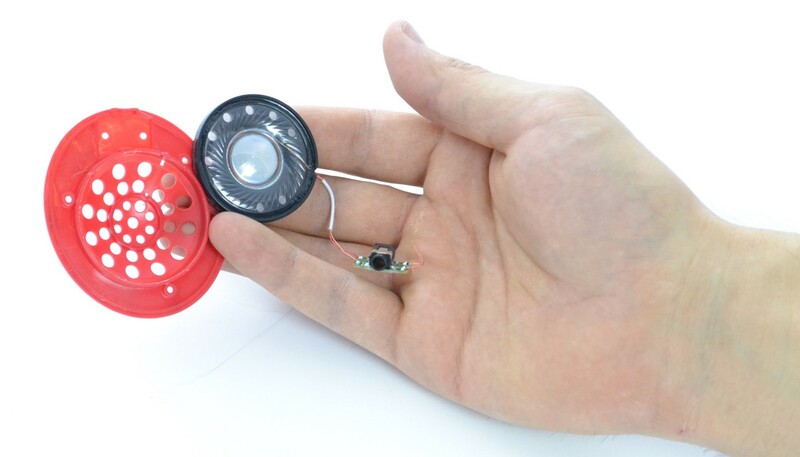 Screws are great here because they make sure the PCB does not rattle around near your ear -- however, they could have shaved off some assembly time by using heat stake bosses, or simply trapping the PCB between the red plastic and the ear cup. 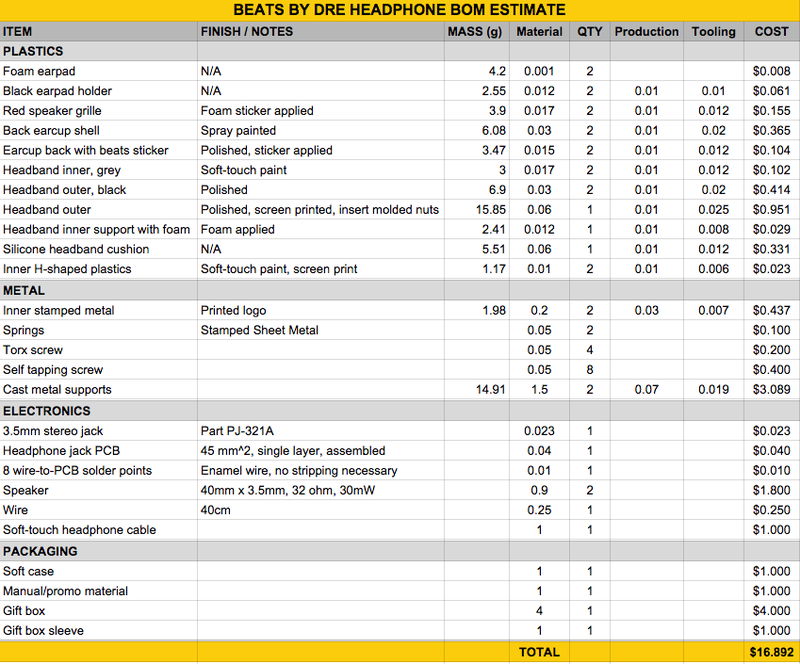 So, do Beats by Dre headphones really enhance the bass? I couldn't tell from the product teardown but the generic drivers make it seem unlikely. I was impressed, however, by the look and feel that was achieved with so few parts. While it's difficult to accurately reverse engineer the COGS of a product, I will do my best with each product that I tear down. 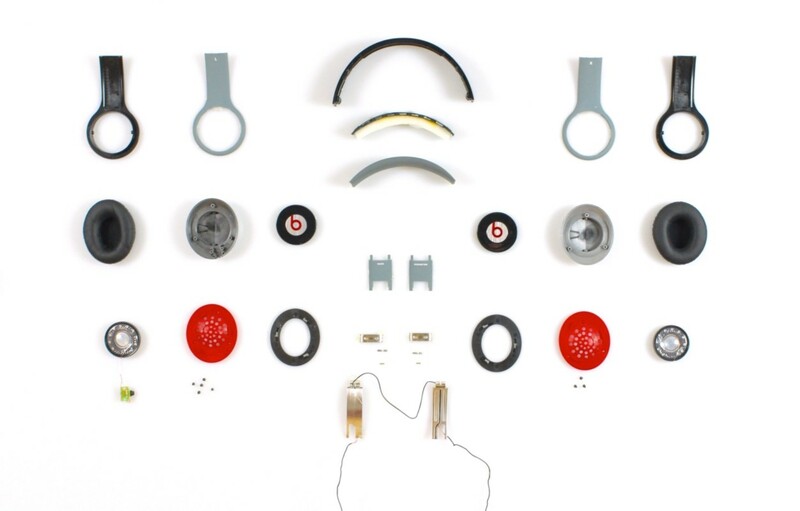 In this BOM, I break it down into several categories -- plastics, metal parts and electronic parts. I estimate that the COGS without labor or shipping is $16.89 -- yet Beats is able to successfully retail these headphones for $199+. This is the power of brand. Dr. Dre and Jimmy Iovine have leveraged their personal backgrounds and a sleek design to launch a remarkable brand that's become fundamental to music pop culture.